Is that snow in Southern California?! Yes, it is. 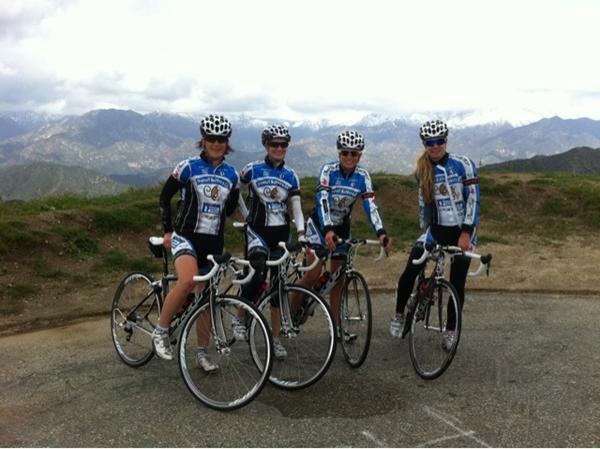 The San Dimas Stage Race starts tomorrow with a 3.7 mile hill climb into the Angeles National Forest. We rode it today and kept climbing and climbing. It is a 22mile climb! Good thing we are only doing 3.7 miles of it. And the 40day racing block is starting. Bring it on. 40days. San Gabriel Mountains is where it starts tomorrow. First destination: San Dimas. Race#1.